Lorie Ham is the editor of the cool Kings River Life Magazine and an avid reader. To offset some tough times in her life, she is selling a few of her books. Since there’s nothing I love better than books for sale, I thought Suspense Your Disbelief could set up a cyber table. I hope you all find some finds! On this day of memorial and remembrance, I offer sorrow for those who lost loved ones on September 11th, 2001. And I offer humble admiration and thanks to all those people who charged forward instead of back in the act of helping others. Greenpoint Press is the brain child of my mentor and New York Writers Workshop co-founder, Charles Salzberg, and it has published a book every American–every citizen of the world–has cause to read. 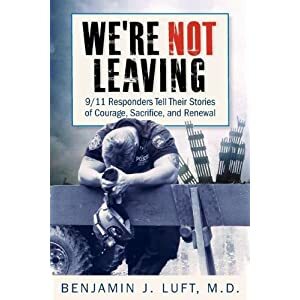 Dr. Benjamin Luft collected interviews with many of the 9/11 first responders, interviews which Dr. Luft turned into a book and a film, and which the Smithsonian Institute is now archiving in its permanent collection. Many of the people who helped on 9/11–the ones who went forward instead of back–are sick with aftereffects now. They carry memories no human being should have to live with. This is their burden because they showed us the best of what it means to be human. Anyone remember the children’s book CAPS FOR SALE? It’s a good one. But not quite as good as a whole teetering stack of BOOKS for sale, which is what Lorie Ham is offering here. Please contact Lorie at mysteryrat(at)gmail(dot)com if you’d like to buy any of the titles she is offering! Many readers know that I am following the new e frontier avidly. Writers whose work I admire, such as Karen McQuestion, have been great friends to me as I explore this territory. I never fail to recommend Joe Konrath’s megaphone of a blog, and I’ve used the Barry Eisler/Amanda Hocking polar opposite decision as the basis for more than one tweet or post title. So today I am excited to welcome Rob Walker, another whose name belongs in these hallowed halls. Is hallowed the right word? There’s a brashness, a tent revival quality, to those who believe digital reading will decimate books–that books are just the T Rex who doesn’t know the meteor has landed yet. And yet–maybe the prophets are right. I don’t know myself, of course, but I offer Rob’s words, and his evidence of success, as another in the voice this conversation raises. Enjoy! And in your comments please feel free to proclaim the truth–as you know it. The day had ended with little to show for and mine superintendent McAffey remained frustrated and upset. He knew from experience it’d take days if not a week to get the men comfortable enough about this section of the mine to even begin to clean up the mess where some timbers had given way. “Hell, amounts to a sneeze,” he said to the man beside him. 3 Million plus Kindle e-readers have been sold since December of this year, and Mother’s Day is likely to see a huge number sold as well—perhaps more; at least this is the number I keep seeing in articles in The New Yorker and Newsweek. In other words, the future is upon us and traditional publishing has reason to be concerned even if they don’t know it. More and more authors are taking control of their content and making decisions that impact the content—what they create. Traditionally, the working arrangement between publisher and writer has been one of you turn over your creation and the publisher “takes all the risks” as if you are taking no risks in spending months if not years on a manuscript. However, since you are taking “no risks” like those faced by the publisher—business risks—the notion is that you are now passive cargo and worth about 8 to 10 percent of each “unit” sold. Now all decision making is out of your hands, and you are supposed to go write another book in the event the first one sells well. Meanwhile, the publisher’s team—all of whom have pensions and paychecks—make the important decisions of pricing, placing, marketing, packaging, title, down to the font and colors on the cover. In other words, all decisions are made by committee. Think totem pole and the author is at the bottom, and wasn’t a camel a horse designed by committee? My point is when the book fails, the guy at the bottom of the totem pole is the one blamed as his/her numbers of unit sales is too low. So the business model for the author is pretty bleak, and has been since Guttenberg’s invention of the printing press; ninety nine percent of all novelists in the world cannot live on what they earn as writers. Could you live on eight percent of what you sell without health benefits or pension? That said, let’s turn now to the business model for the author who is now an Independent Author/Publisher—and for starters, the Kindle contract is not an 8-10% cut but a 70/30 split with the 70 going to the author! Aside from this, the author makes all the decisions to package and price the book, no title fights, no arguments over hardcover vs. trade vs. mass market as none of these designations apply in e-books. The added attraction to doing e-books is control and a sense of freedom. By using the A-B-C directions at www.dtp.amazon.com, I now have some 43 novels for sale online via Kindle Book Store on Amazon.com. The e-books for out of print titles may require getting a company like www.blueleaf.com to convert an actual book to a scan to doc, and once you have a doc file it must be converted to HTML—which can be the most difficult part of the steps involved. If you already have a doc file of the book in question, you won’t have to send off a book to be scanned. I used Blue Leaf because their prices are three times cheaper than anyone else doing book scanning. The most trouble involved in the process is converting the file to html and then in reviewing it, correcting the errors that will inevitably come up in the process of conversion—sometimes quite time consuming. However, I have it on good authority that a file can be converted with ease by sending it to a friend who is on gmail. I’ve only just recently learned of this shortcut, but it sounds promising and I will use it in future. Meanwhile, once the html conversion is complete, once done and placed up on your Kindle dashboard, the rest is smooth sailing. The results in terms of sales are astonishing. In the old business model with traditional publishing, wisdom has it that you price the book at the top end—as high as the market will bear. However, in the e-book model, the readers expect and demand low end pricing, very low end pricing. They are savvy readers who know that putting a book onto Kindle is a snap compared to printing on paper, paying for paper, warehousing paper, overhead for paper, paying PR people, paying marketing director and his staff, etc. are no longer relevant tasks. Since all of this “goes away” in the e-book world, the readers expect far cheaper books in the manner Bezos envisioned – and why not? It is for this reason that I listed most of my forty plus books on Kindle for $1.99 and $2.99. The books at this low end rate are selling like a river flowing, while my three titles placed up by Harper Collins—priced at exactly the same price as the paper books at $6.99—are sitting there like three stones (no sale) while my novels like Children of Salem at $2.99 are my bestselling titles. I earned 400 dollars last month on books priced at the lowest end of the scale, while my hardcover novel in the same month earned zip. In one year, I earned (after repaying advance, after packager’s 20 percent, after all overhead costs) a mere 141 dollars on my traditionally published hardcover DEAD ON, while in one month, I earned 400 dollars on my lowly $1.99 and $2.99 specials. What does this kind of economic comparison say about the old way of doing things and the new way of doing things? Part II – Your Guide to Independent Authorship Found Here will continue tomorrow. Hope to see you back in your seat, ears alert, right here next time for the particulars of getting started in this brave new world of becoming an Indie Author. Robert W. Walker has taught writing in all its permutations (“All writing is creative writing but not all writing sings,”) from composition and development to a study of the literary masters to advanced creative writing. His first novel was one only an arrogant youth could have conceived — a sequel to Huckleberry Finn (now published as Daniel & The Wrongway Railway, Royal Fireworks Press, NY), but his first suspense-techno-thriller-sf-mystery came in 1979, after college, a novel that won no awards entitled SUB-ZERO. No, wait, this isn’t about me and my publishing saga. (Or not-publishing saga, as the case-so-far may be). By the way, thank you very much to Cynthia Haggard who managed to make me feel like the back-story posts aren’t as groaningly burdensome for you to read as they can be for me to write. I will do an update soon. But this winner is Shirley Nienkark, who left a comment for Karen McQuestion, and was drawn at random for a giveaway of Karen’s new book, FAVORITE. I am thrilled to welcome back initially self-published sensation Karen McQuestion to Suspense Your Disbelief. Karen wrote a Made It Moment last year and since then her sales have only soared, Amazon’s print publishing arm, Encore, has released a second book, FAVORITE, and now in the wake of Barry Eisler’s departure from SMP, Karen is back in the news again–Entertainment Weekly, no less–as one of the leaders of the pack in this brave new world of independence in publishing. Please read on for Karen’s update, in her own words. And then check out her new book, a creepy, tingly, one-day read, with a positively gothic mystery at its heart. I rewrote my young adult novel, Favorite, many times. It started out as an adult book–a women’s fiction with a mystery element. The main character, Angie Favorite, was in her mid-thirties and had a father who’d disappeared when she was a child. Events in the book gave clues to what had happened to him. There was a crazy cast of characters, including her ex-husband, a rock guitarist named Elroy, her smart teenage son, Jason, and her brother, Bob, and his selfish wife, Carla (the couple had their own subplot). After I finished writing it, I had several writer friends review it and give feedback, then I made some changes and polished it up. I got an agent for the book. He was new to the agenting game, but enthusiastic. He had some great suggestions for improving the manuscript and we did two rounds of revisions. He sent it out to twenty-some editors with the title Finding Angie. Two of them liked it well enough to take to their editorial committee, where it was promptly shot down by the marketing people. When my agent took a different job dealing with foreign rights, we amicably parted ways. I sent the book out on my own and a few editors agreed to read it, but there were no takers. One editor didn’t want to buy it, but sent me extensive notes suggesting improvements. Her ideas would have required a lot of work. By that time, I was tired of the book, so I shelved it and moved on to writing a different novel. A few years later, I got the idea to rewrite it as a young adult novel. This required making Angie a teenager. Her ex-husband became her father; her mother became her grandmother, and her son, her brother. The missing parent was now her mother. I made other changes as well. I dug out the letter from the editor who’d given me detailed notes. She’d disliked the ambiguous ending, (which I’d thought was true to life), so I scrapped it and completely rewrote it. Following her advice, I deleted numerous metaphors because they were distracting and unnecessary. I also eliminated the Bob and Carla subplot, because really, who cared? I queried agents for this new YA version and one called with interest. We talked and she said she wanted changes. Her assistant emailed me notes, and I wrote my heart out for three weeks. I sent the revised manuscript back and waited. A month later, she sent a terse email saying it wasn’t for her, but thanks anyway. I was disappointed and puzzled. Shortly thereafter, she left her agency and started her own. I like to think that maybe she was caught up in the process of starting a new business and didn’t have time, but I’ll never really know. I started to wonder if it was just a weird book. I had another writer friend read it and she pointed out some areas in the story where I’d done more telling than showing. I fixed this problem and added 4000 words in the process. In November 2009, encouraged by my mom who said it was her favorite of all of my books, I self-published the manuscript to be available as an e-book on Kindle. 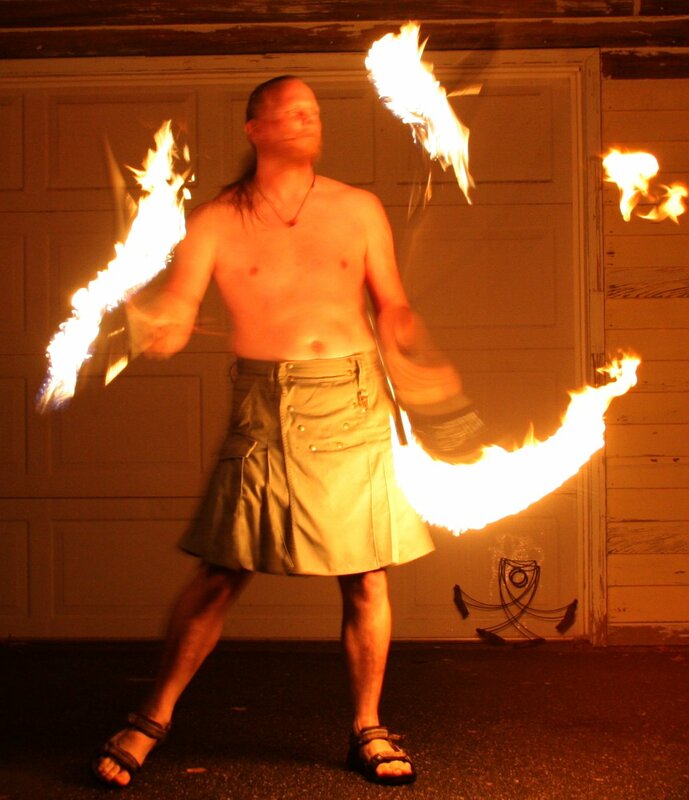 I found a great image on istockphoto.com and gave it the title, Favorite. I was overjoyed when my weird book starting selling well. Based on sales and good reviews, it was acquired by Amazon’s publishing division, AmazonEncore, last year and will be rereleased on April 1st. Going with a publishing house required two rounds of editing, but this time around it was fairly painless. I can’t wait to send a copy to the editor who was so helpful so many years ago. She may not even remember me or my manuscript, but I want to let her know that her efforts to help a new writer made a difference. I’m happy Favorite found a publishing home with AmazonEncore, but I’m even happier that it’s now out of my hands and I can’t make any more changes. Enough already. Karen McQuestion‘s essays have appeared in Newsweek, Chicago Tribune, Denver Post, Christian Science Monitor, among other publications. She is the author of six books self-published on Amazon’s Kindle, one of which, A Scattered Life, caught the attention of an L.A. based production company and became the first self-published Kindle book to be optioned for film. Her new book, Favorite, releases today, April 1, 2011, by AmazonEncore. McQuestion lives with her family in Hartland, Wisconsin. Leave a comment for Karen! You’ll be entered to win a copy of FAVORITE. I love it when Carl sends these along. Please check out his review of “an oldie but goodie”. This small-town cozy comes with two squabbling sisters, one a gourmand cook, the other an established painter. They collide in a little upstate New York town called Hemlock Falls. Aptly named. Together the sisters Sarah, called Quill, and Meg, own and operate an inn on a perfect plot of property overlooking the namesake falls. The novel comes with a list of the huge number of characters at the front and an unremarkable recipe at the back. The 133rd anniversary of a minor Civil War skirmish is approaching and the town is planning big doings. Things get rapidly complicated. Re-enactors are arriving to stage the battle, a poisonous couple of independent film-makers appear, and Quill, who cannot manage a business to save her soul, is trying out various practices on the Inn’s employees she is picking up from a business course at Cornell. Cornell ought to sue. Then people start dying. They are old and not exactly in the best of health, but they weren’t at death’s door, either. The one thing they had in common was the Inn. All three victims had had meals at the Inn on the same day. The town doctor, who’s in love with Meg, the aforementioned sister, is mightily distressed. He asks Meg’s sister, Quill, to investigate. This of course adds to the number of subjects over which the two sisters can disagree. As one might imagine, there’s a great amount of shouting, stomping about and door slamming. Quill, of course, agrees to look into the deaths, if only to protect the reputation of the Inn and her sister. It isn’t like she hasn’t enough to occupy her. She has to deal with a twit of a receptionist who’s trying to finish a PhD and her own inept efforts to force worrisome new business practices on her employees without any preparation. All of this is handled with a light touch and there are several clever scenes, helped by some imaginative and interesting characters, but it all never quite comes off. The sisters’ constant squabbling, the irritating front office receptionist who should have been fired for insubordination, and half a dozen other offenses, overshadow some strong writing and clever plotting.